On days when it is just too hot to cook or for that matter eat anything that isn’t iced or at least from the fridge, this quick little recipe comes in extra handy. You don’t need an ice cream maker, and therefore don’t have to plan on freezing the ice cream maker container the day before, so it can be quite a spur of the moment thing! 1/4 cup cream, or light cream, even some nice raw milk will work. In the bowl of a good food processor, combine the cherries and the sugar, pulse until everything is crushed and starts to resemble a powder. With the machine running, in a slow stream add cream (or milk or half & half) through the feed hole on the lid of the blender bowl. You may have to scrape down the sides once or so as you are going through this, but work quickly as the cherries will start to thaw rapidly as you are processing them. Keep adding cream through the feed hole in the lid until desired consistency is reached. This will create a soft ice cream,(almost like soft serve) either eat right away, or place in the freezer for approximately 15 to 20 minutes to firm up a bit before serving. I tell you, if you don’t watch your garden 24 hours a day, you are bound to have a few zucchini slip past and they end up looking more like baseball bats. Yeah, it even happened to an invisible cucumber I apparently had growing for a couple of, I dunno, hours??? Anyway, one of the great things to do with this zucchini madness is to make zucchini bread, right? Sadly when it is 90 and high humidity the idea f turning on the stove, let alone the oven, seems suddenly a whole lot less appealing. So I wondered if I could possibly, somehow trick my gas grill into thinking its an oven for a while? 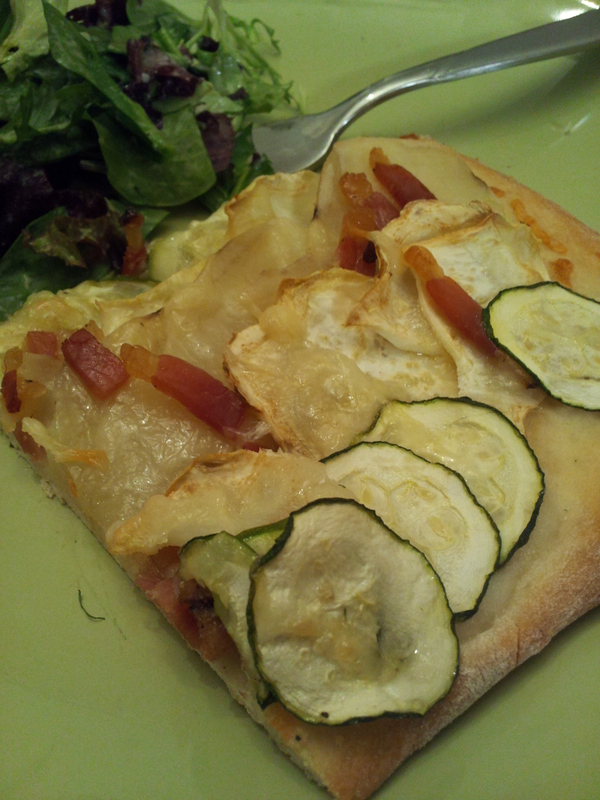 I mean I made these and I often make Pizza so really the next logical step would be to bake something for real. Could it be done? Can one do such a thing? As you can see, yes, indeed you can! I could not believe how well it worked, they even browned nicely on the top, see? First you need a gas grill that has multiple burners, so you can create in direct heat. What you want to do is heat up the grill, then turn the center burners (or wherever you will place the muffin tin) off and keep the others on high. It also helps if you have a handy-dandy grill surface thermometer like you can see in one of the pictures, but the built-in temperature gauge works pretty well too. 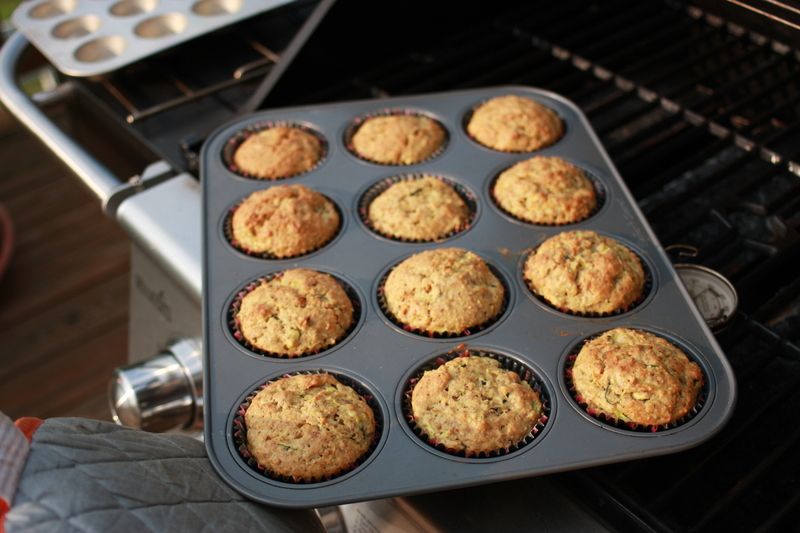 Line a standard muffin tin with paper cups or grease well, set aside. In a large bowl combine the softened butter and sugar and stir until well combined. Then add vanilla and eggs and mix. Add the flour, baking powder, and ground almonds. Preheat the grill on high, all burners. Goal is to get to about 350°F. 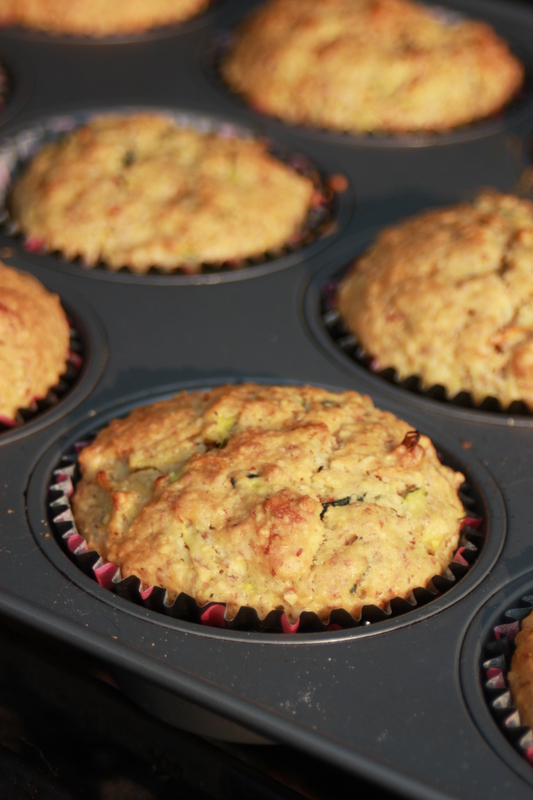 Fill dough into prepared muffin tins. Turn the two center burners off, place muffin tin on the grill grate in the center of the grill, leaving the burners on either side of the muffin tin on high (Adjust if necessary to remain at approximately 350°F) Close the cover of the grill and bake for 20 minutes. Just like with your oven, don’t open the grill a lot to check on your goods, or you will lose all the heat. 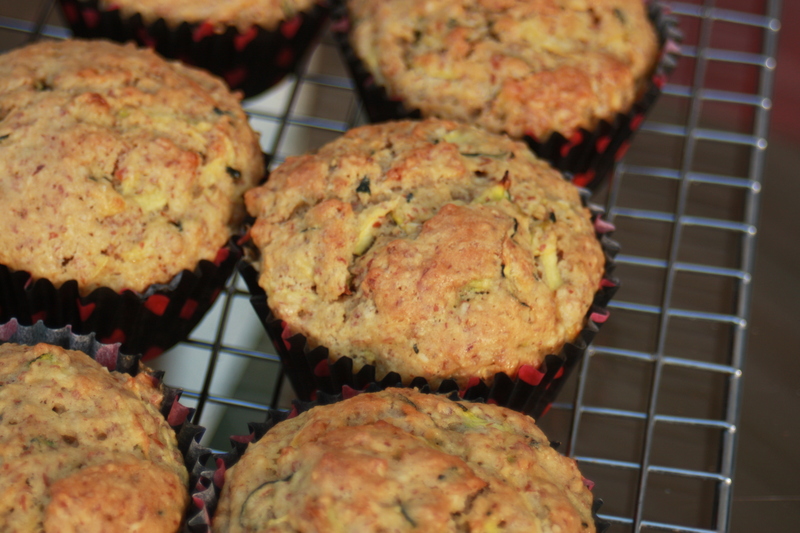 After 20 minutes, check muffins, by inserting tooth pick in the center to test if they are done. If you have a warming rack that is higher up in your grill, and it will fit the muffin tin, place the muffins on that rack for another 5 minutes to brown the tops. When they are all done, turn off gas to the grill, turn off burners, remove baking tin from grill and cool the muffins on a wire rack. 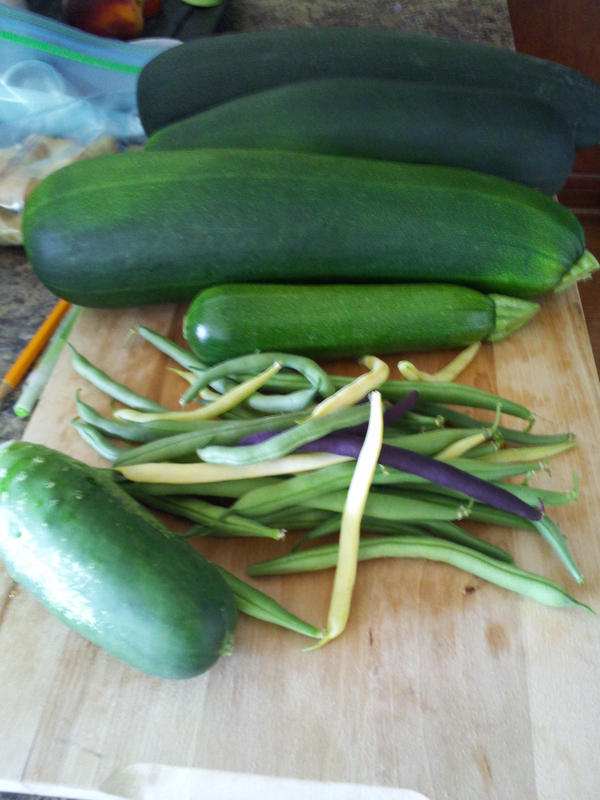 zucchini is flourishing and liking the rainstorms! Less watering for me is also a good thing. Heat up the grill. I am using a gas grill for no with time, but I bet this would be fabulous on a charcoal grill! 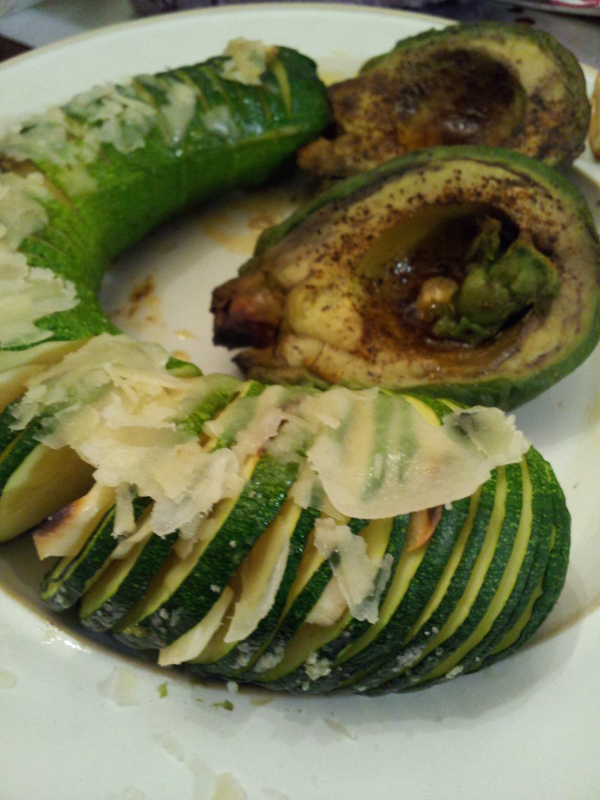 Place Zucchini on work surface and slice a little more than 3/4 way into (but not all the way through) about every 1/8 to 1/4 inches. The easiest way to do this is to place a wooden spoon or spatula on either side of the zucchini, that way it will stop your knife from slicing all the way through. Grill with the cover closed until soft and slightly browned, about 6-8 minutes per side. If your grill has limited temp. 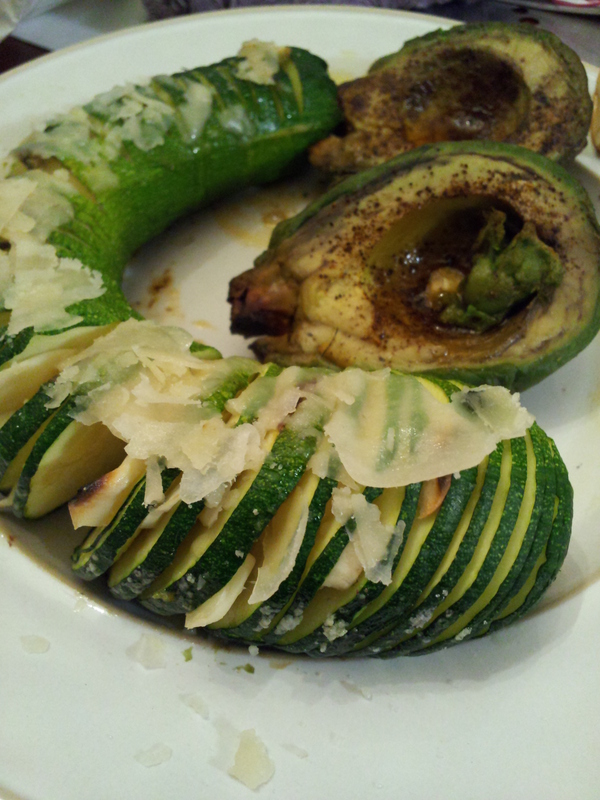 adjustment, you may have to grill partially over in direct heat, meaning you turn the grill on but not right under the zucchini. 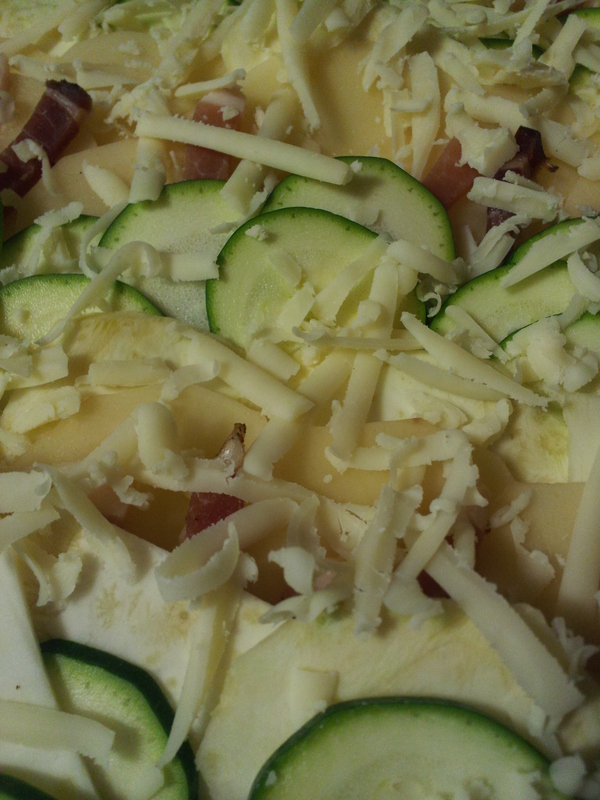 Remove from grill carefully and sprinkle the cheese over the top. 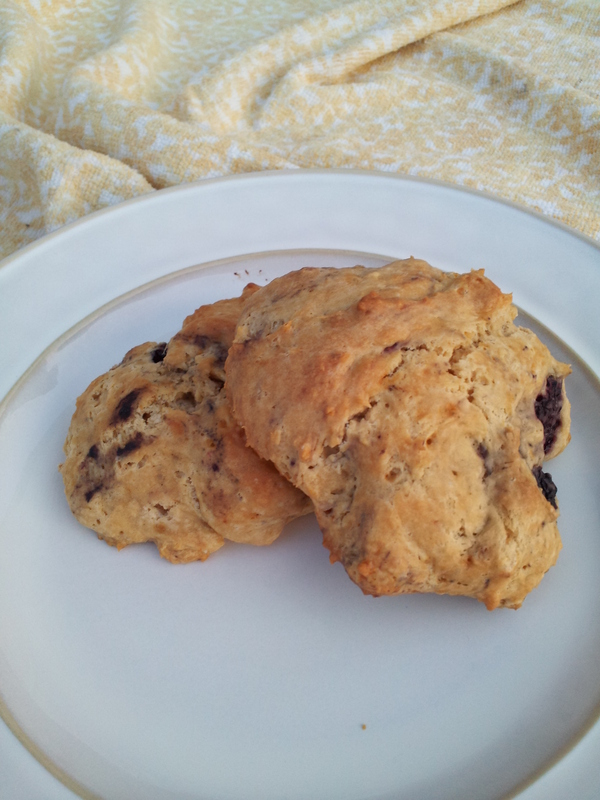 Easy to make, quick and yummy. Just the treat you can make when company shows up unexpected or you want something for tomorrow’s breakfast, but really have no time or patience to stand in the kitchen. Which is what has been happening around here a lot lately, the having no time, not the unexpected visits. Gosh that would REALLY throw off my schedule! I have been so busy, I cannot even keep up with the planned visits some weeks! But enough about me, let’s get to baking! 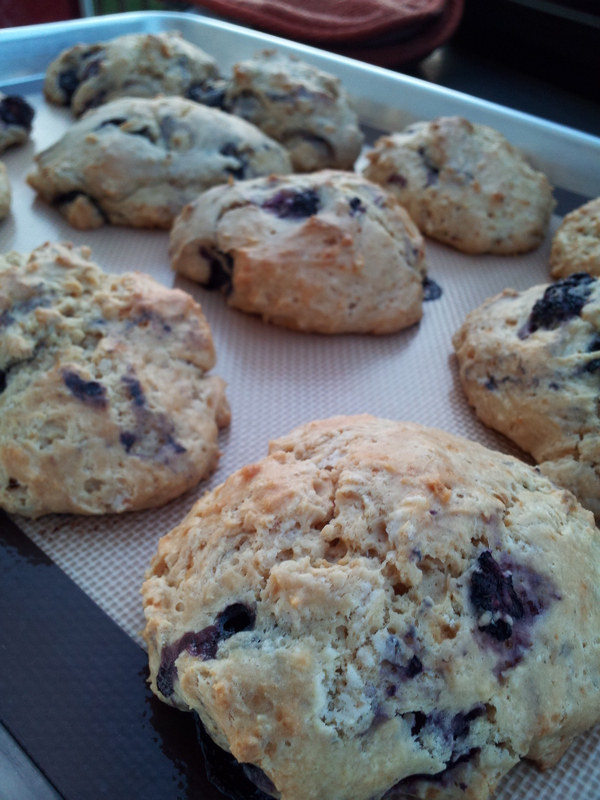 These scones are only ever so slightly sweet. I honestly had no sugar in the house, all I had was coconut sugar, so that’s what I used. Generally they would get a sprinkle of raw sugar before they go in the oven, but again, that only works if ya got some! 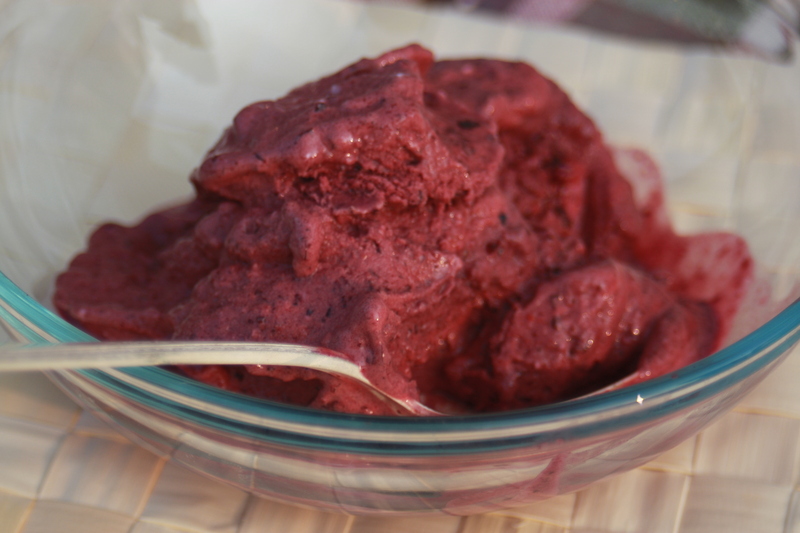 I used frozen blackberries for this one, but you could use raspberries as well. If you are using fresh berries, be careful folding them in, they are very delicate. You may also need to adjust baking time. Preheat oven to 400°F. Line a baking sheet with parchment paper or a baking mat. Then add the coconut oil, cream, lemon essence (if using) and the egg and stir until a lumpy dough forms. 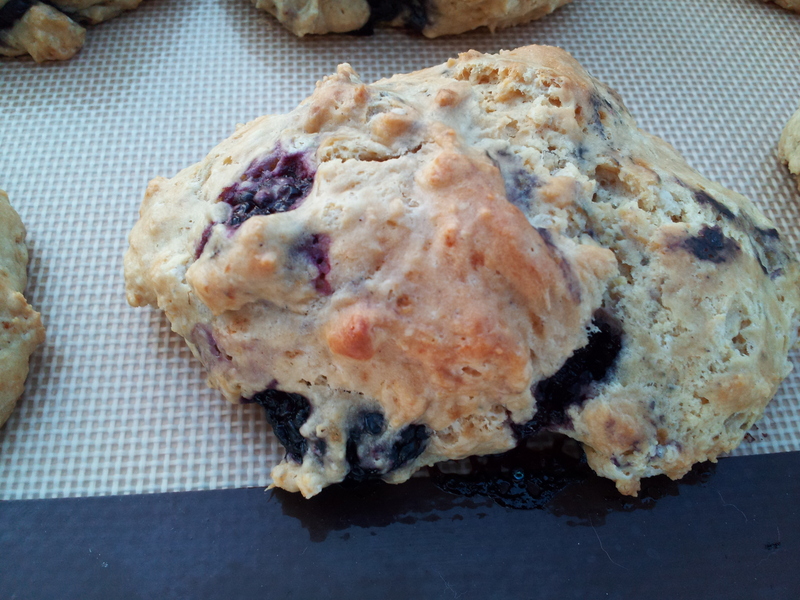 Drop onto prepared sheet by the 1/4 cup fulls. This should make about 10-12. Bake for 22-25 minutes or until golden and tester inserted sideways comes out clean. 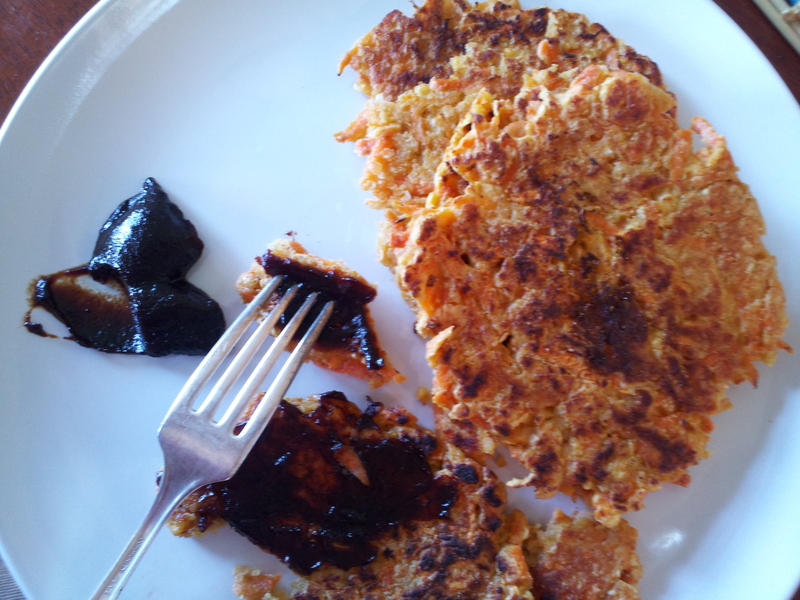 When you are craving pancakes, being gluten free can be a bit trying at times. So today I set out to make myself a non egg-heavy breakfast for once. 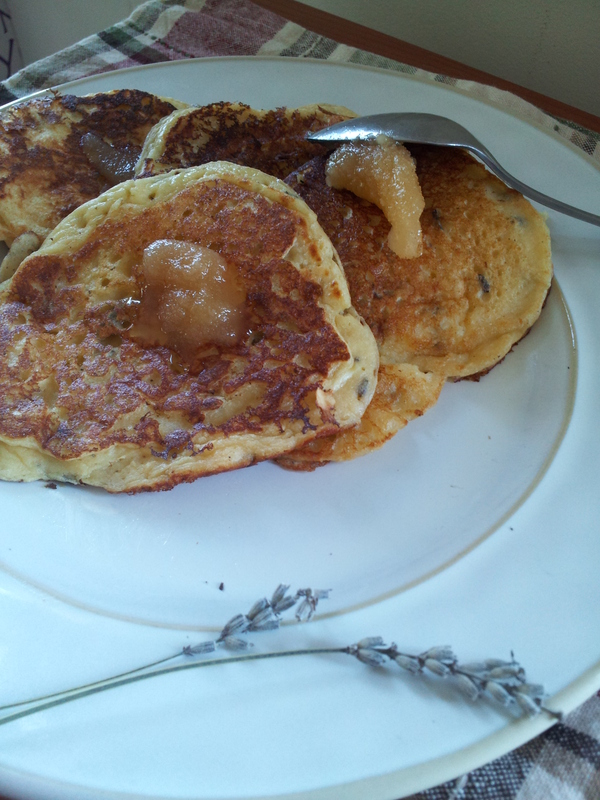 And to spice it up a bit, I decided to go in the direction of Provençe… Yes, lavender flowers and 🙂 I added honey because it goes well together! 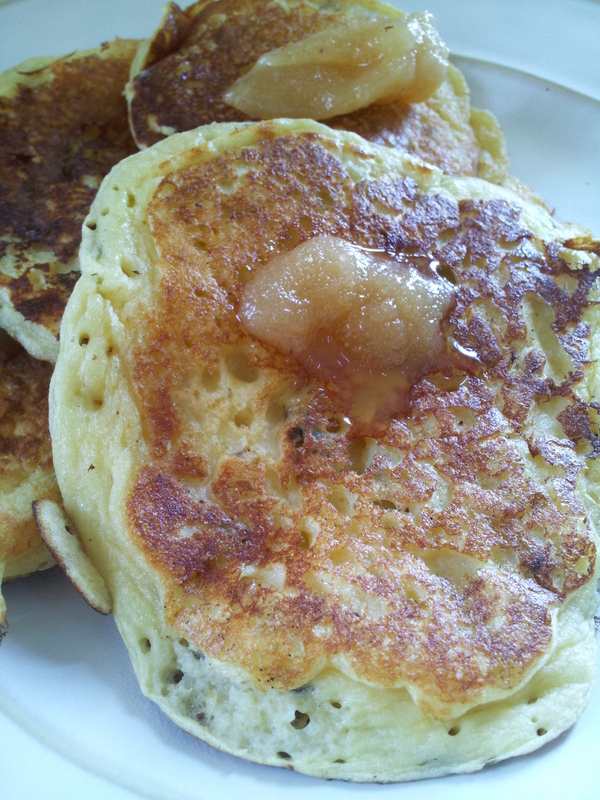 Heat a little oi in a skillet and cook by the 1/4 cup fulls like you would for regular pancakes. Repeat until all the dough has been used up. Makes about 6-8. Serve topped with a spoon full of raw honey as shown. 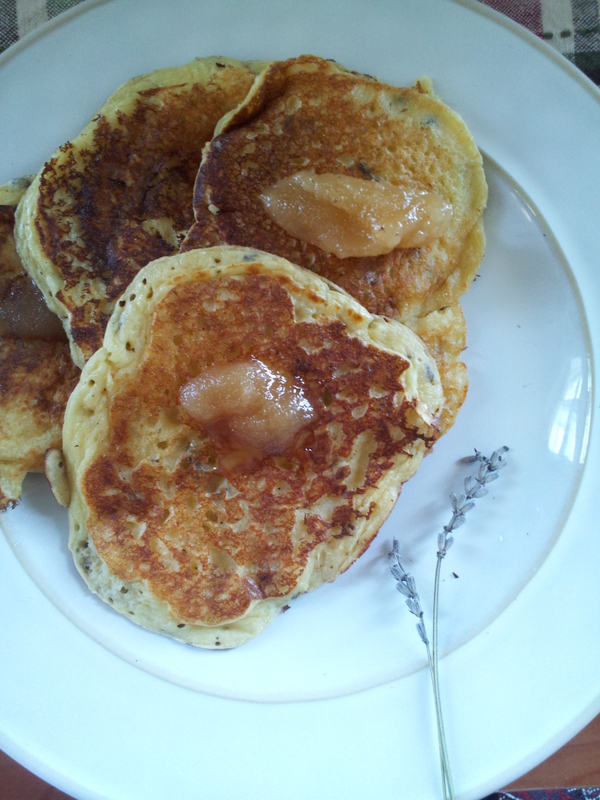 they are fantastic with some apple butter! It’s been a busy few months around here and yes, I have been eating but I have shifted to making less involved and more quick fox meals, that at times I felt did not actually constitute in a recipe. And photography, well I have done some of that, but in my other field. 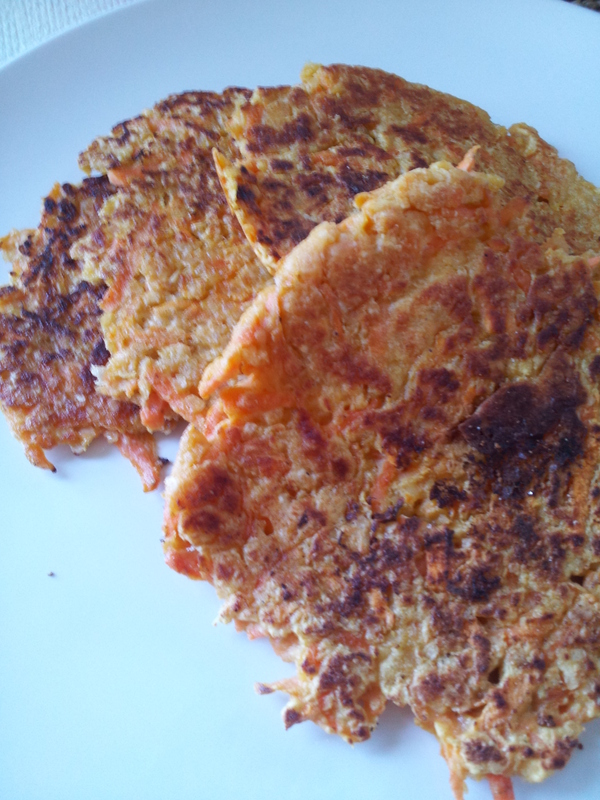 But today I made these really delicious quick ‘pancakes’ and wanted to share that with you. Heat a little oil in a heavy skillet over medium heat, add the sweet potato mix by the 1/4 cup full, spreading it out and pressing it down until you have a patty about 1/4″ thick using a fork. Cook until golden brown, flip and brown second side. Well, I think I am not the only one that bakes more (between you and me, I am firmly convinced some of my neighbors only bake, or cook for that matter) during these prolonged snow events. Today I made awesome shortbread cookies, yogurt and then Flammkuchen for dinner! What the heck is that, you ask? 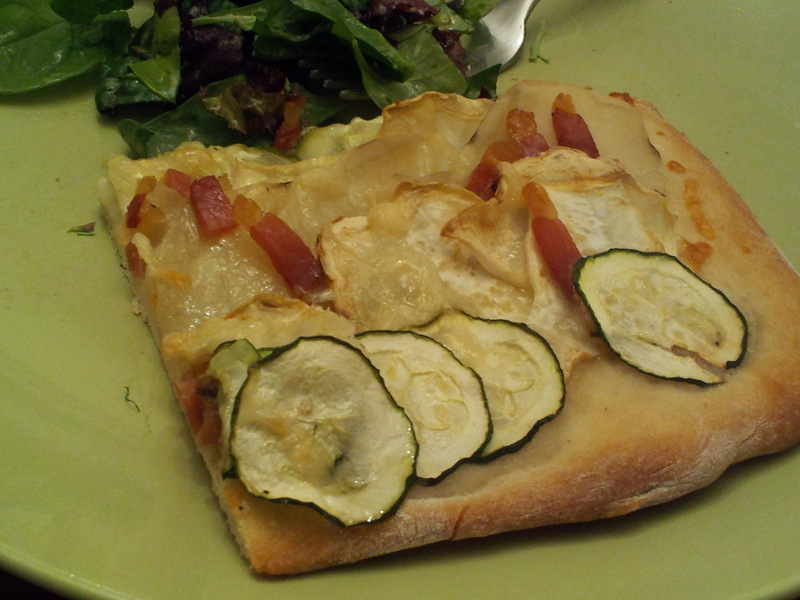 Flammkuchen is a Alsatian specialty that is sort of a flame cooked version of an extra thin and crispy pizza. But let me start at the beginning here. I was planning some meals for when I would have time to indulge due to Nor’easter-in-the-house-locked-ness, and I came across one of my cookbooks from Switzerland, glanced over (Okay, I really thought I READ, this will become important later) a couple of things to try, took some general grocery notes and picked up the things needed at the store the next time I was there. Well, upon closer inspection, I realized that I either read wrong or the book changed since I had opened it last. (Guess which one?) So I ended up with stuff the recipes did not call for and without things that would have been integral to trying those recipes. 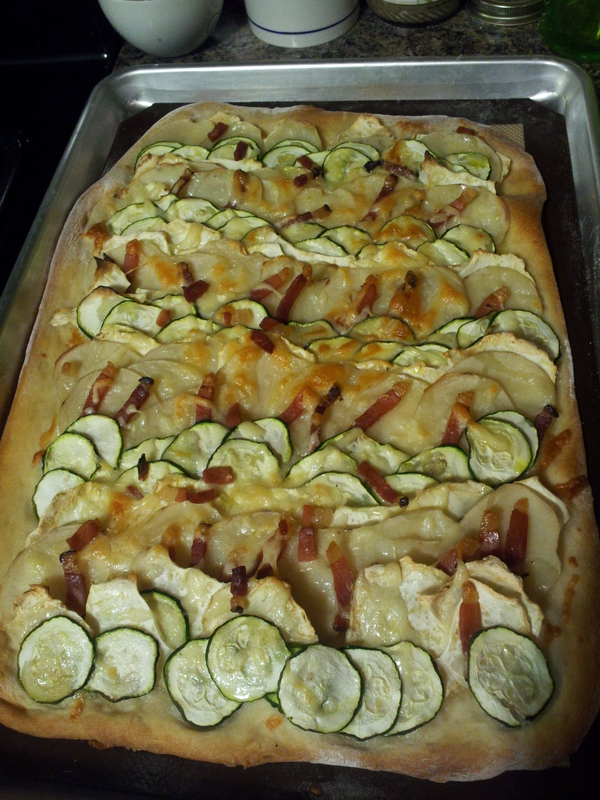 So in the end, the only thing I really got from the book was the idea to make Flammkuchen. With whatever I had on hand. And it turned out fabulous so am sharing it with you all! 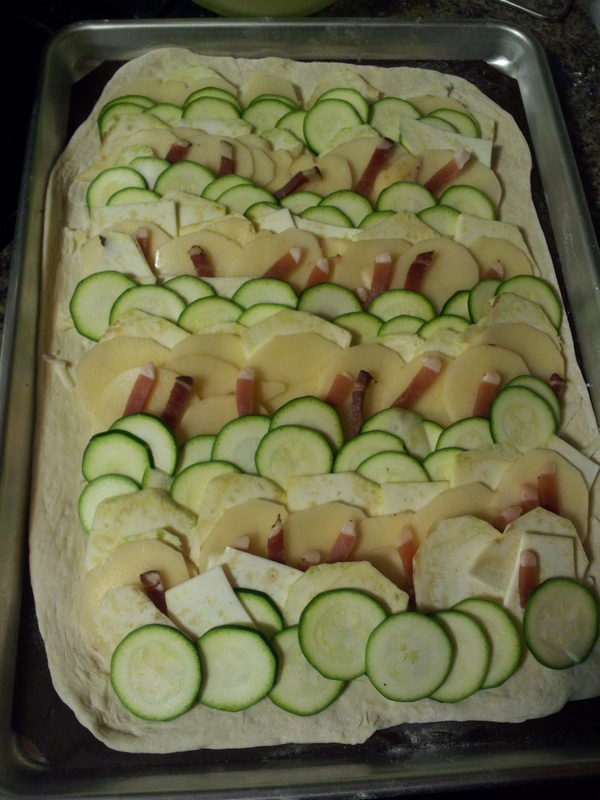 Spread 1/2 of the cheese over the surface, then layer the vegetables and Speck over the dough, overlapping rows like shingles on a roof. 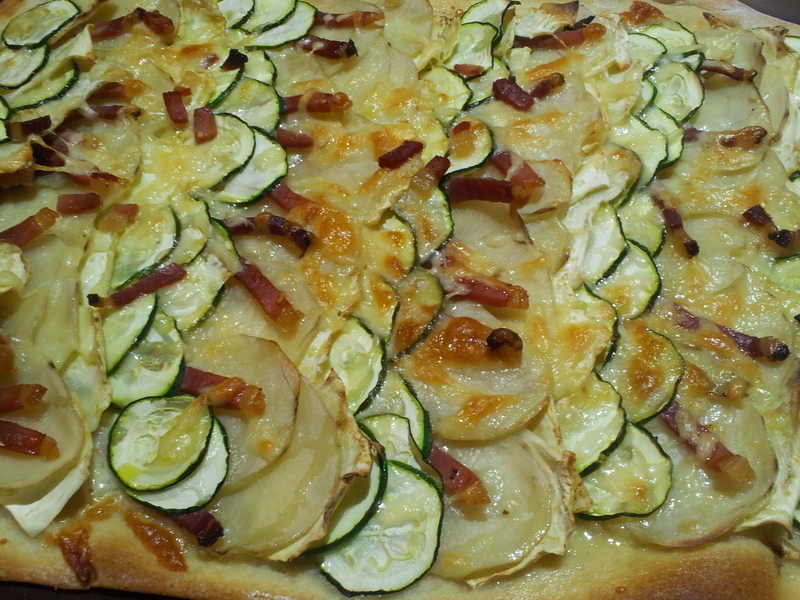 Start with zucchini, then celeriac, and potato followed by some Speck, repeat all the way across. Bake 30 minutes or until the cheese is melted and browned in places. Serve with a side salad and a nice glass of white wine.